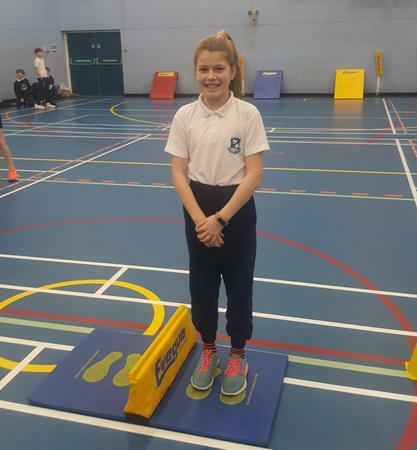 P7 Athletics team do so well! 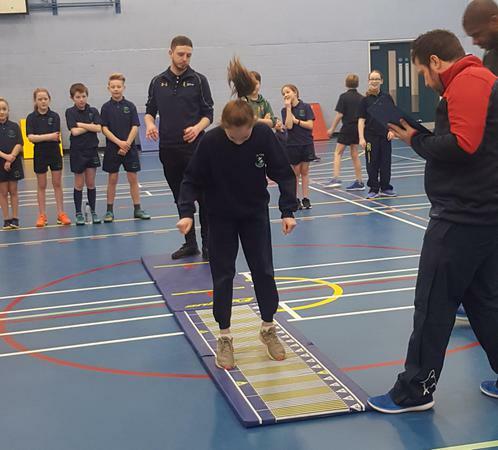 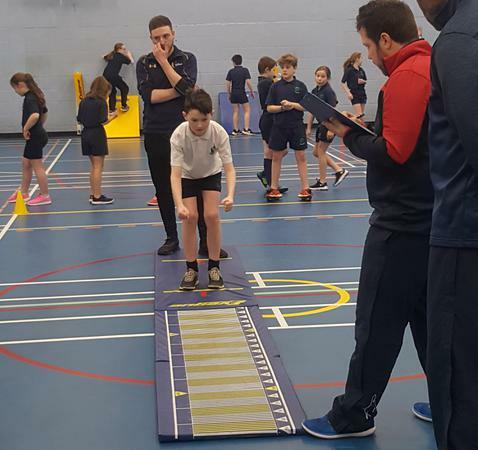 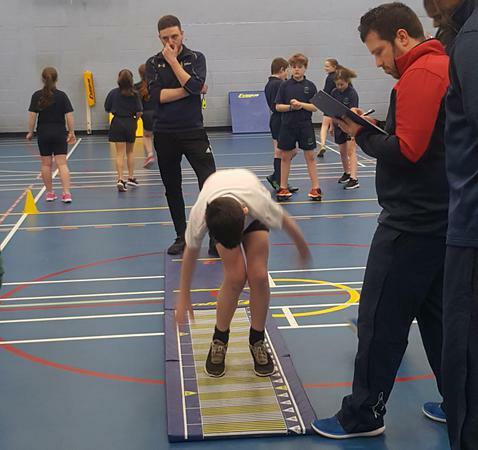 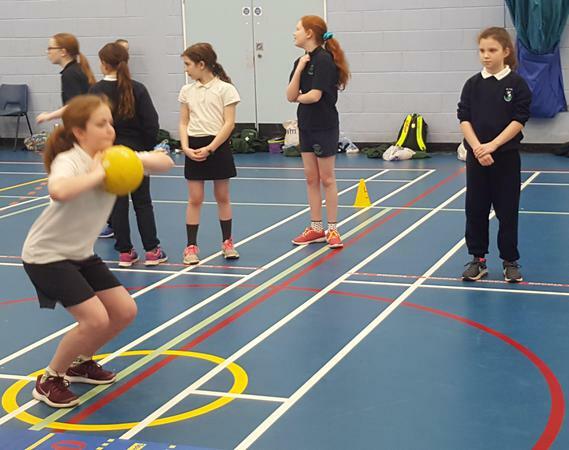 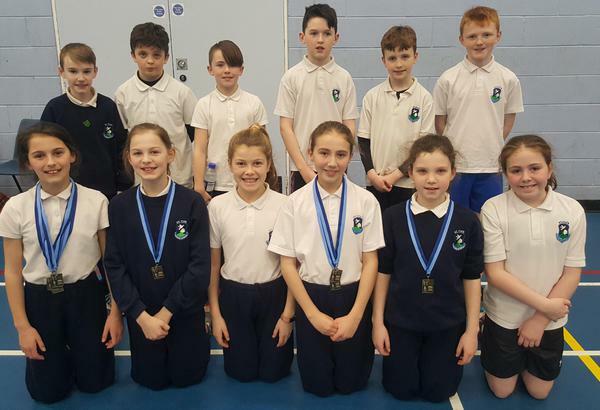 On Wednesday 7th February, a team of twelve pupils (6 boys and 6 girls) from Primary 7 travelled to the Lough Moss Centre to compete in the P7 Primary School Athletics Event. 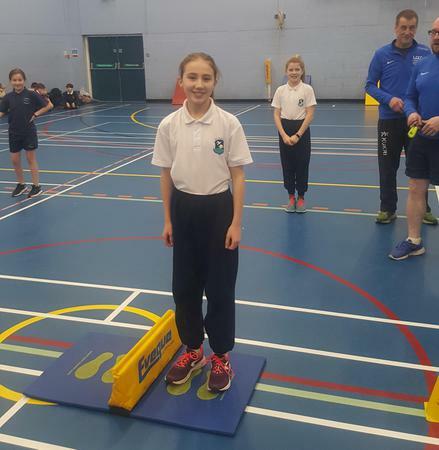 The team members were required to complete an obstacle race, sprint, standing broad jump, chest push, speed bounce and sprint relay. 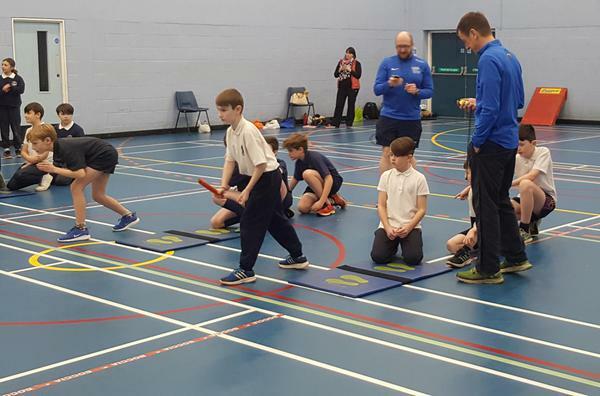 Times were recorded by the coaches and at the end of the competition the team winners were announced. 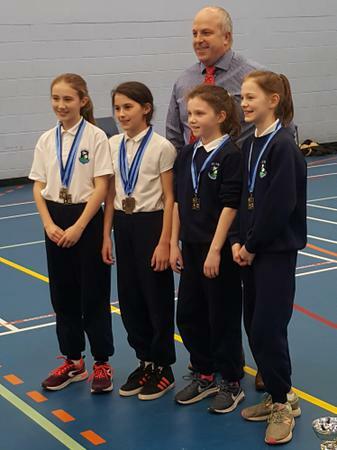 We are very happy to say that the P7 girls finished in a magnificent FIRST place in many races including the sprint, sprint relay and standing broad jump and received beautiful medals. 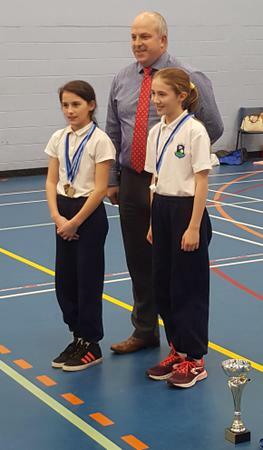 Sporty Rhianna Brady was personally congratulated as she won 4 first place medals and was faster than all the girls and boys in the whole competition. 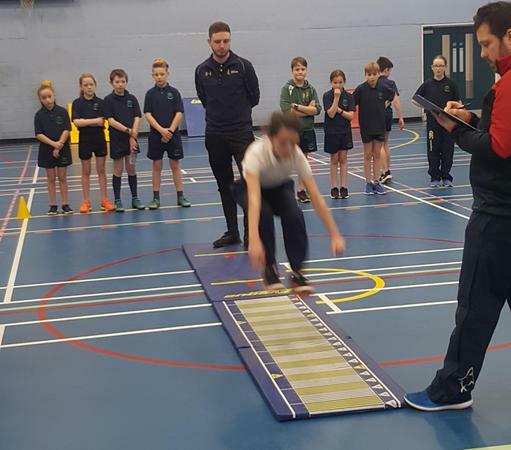 What an achievement! 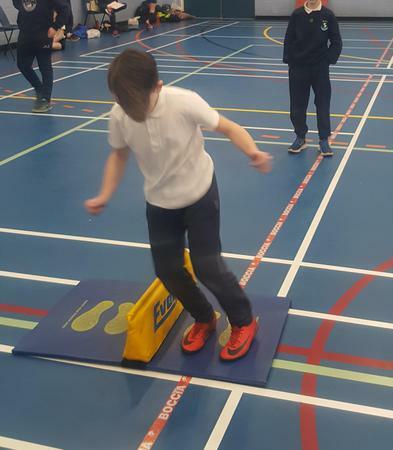 The boys were fantastic aswell and finished in second place in the sprint, speed bounce and sprint relay. 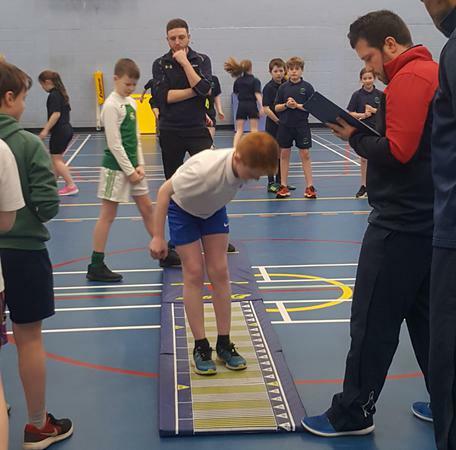 A huge well done to everyone who was involved in this event and good luck to those who are selected to compete in the Finals.